Owing to years of experience in the industry, we offer world-class array of Safe Sedator that are manufactured with perfection. Our entire product range is dimensionally accurate in nature and ensures durable standards and has high compressive strength. They are functionally advanced and come in standard budgetary limits. 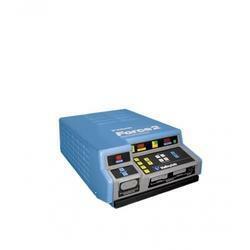 We offer sleep lab instruments to our clients at best prices. The sleep lab machines are used to record the behavior of patients while a sleep. These equipments are used to record data of patients having sleep disorders. The machine keeps track of what the patient cannot report for himself, as he is not aware when asleep. 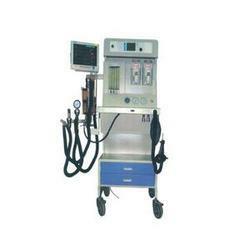 We have gained a remarkable position in the market that is involved in offering MRI Mayo Stand. With the help of our expert team members, we have been able to provide eye-catching Portable Stretcher. A 3-bay sink is a must for businesses that wash dishes manually to account for the 3 wash stages (rinse, wash, sanitize). We offer Bedside Screens to our valuable clients. which makes the patient comfortable. Sound infrastructure has helped us in presenting the premium quality of SS Washbasin Stand. Available with us in different designs and dimensions, the stainless steel washbasin stand is known for its resistance against corrosion. Large production of stainless steel washbasin stand has helped us in meeting the bulk assignments. - Size: 40 L x 40 W x 82 Hems. 1.length 8.5 feet X 5.25 feet height. 2.wheels with individual lock adjustments.